Tuition, fees and other charges incurred by students are charged through the Bursar's Office billing system. 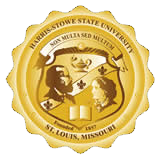 This system posts your transactions to MYHSSU to enable viewing online. The fees include all required course materials (i.e. text books, print materials, access codes, etc.). Students will be able to purchase (or rent when available) non-required course materials that are not covered by the program. Students do not have to request a book advance (credit). This is automatically authorized if a student has a credit balance of $50 or more existing on their account. The Office of Financial Assistance will assist students with this process.